Diane & Jeffrey » Happy St. Patrick’ Day! Melanie’s 1 year check up. Last minute Jeff decided we should dress up the kids for the 17th of May — We are Irish after all! He went on a mad-hunt for new green outfits for the kids during lunch on the 16th and came up with nothing. So i went to Target and scored a shirt for both of them. 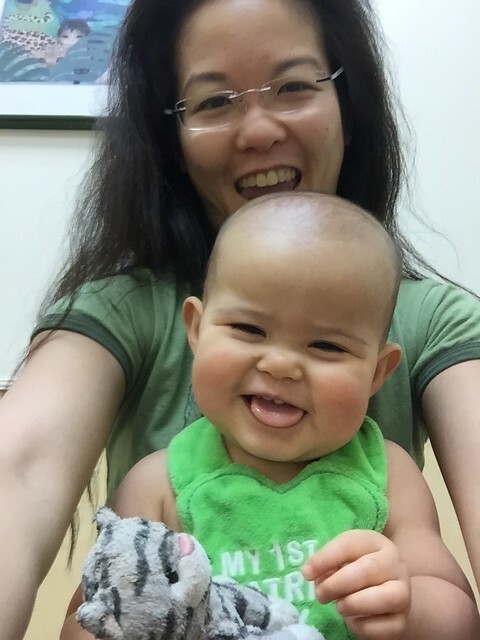 Earlier in the day, Melanie had her 1 year check up and shots. Of course with all the Measles hoopla, my pediatricians upped the MMR shot to 12 months instead of 18 months. Sounds good to me. 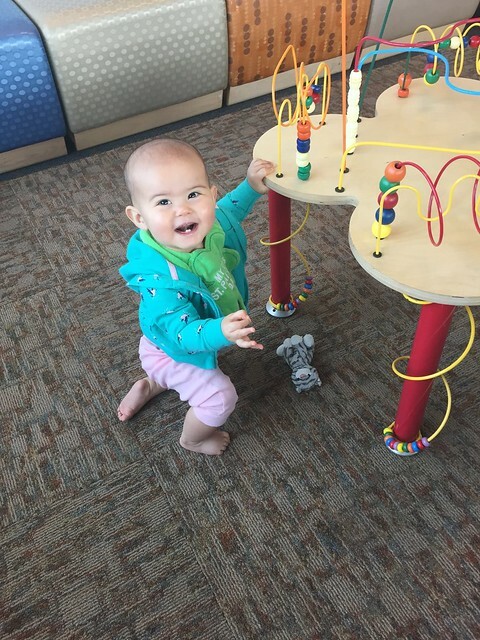 She was so excited to play with the toy in the waiting room! Look at her face. Melanie can now pull herself up to a stand using a table, chair, or in this case, the laundry basket!